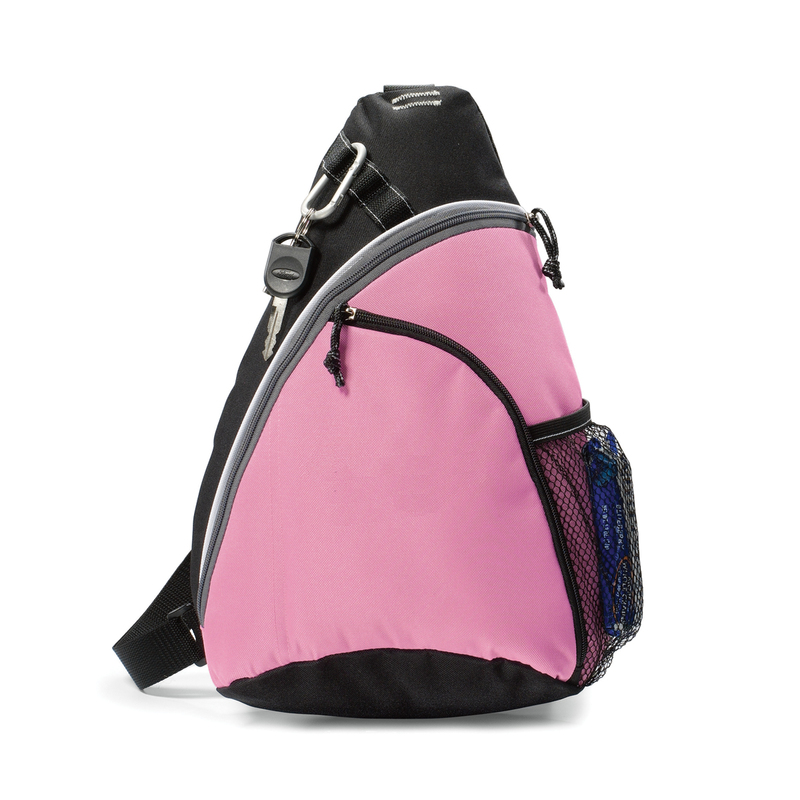 Ideal for vacation outing and outdoor sports, this sling bag offers a comfortable, lightweight alternative to the common bag but still provides a roomy space for those of your small items. 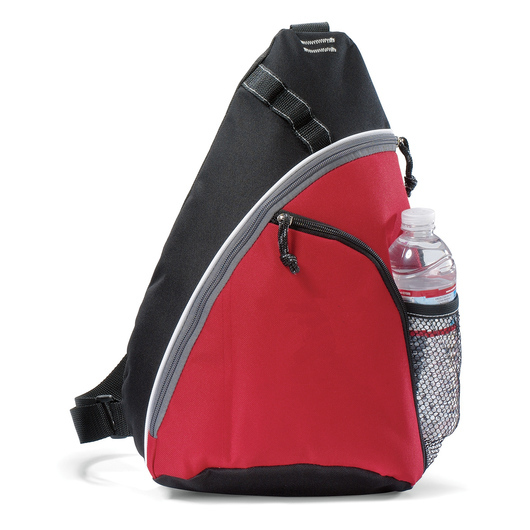 Designed as a functional alternative to the common bag, this sling bag with its compact size will take you anywhere. 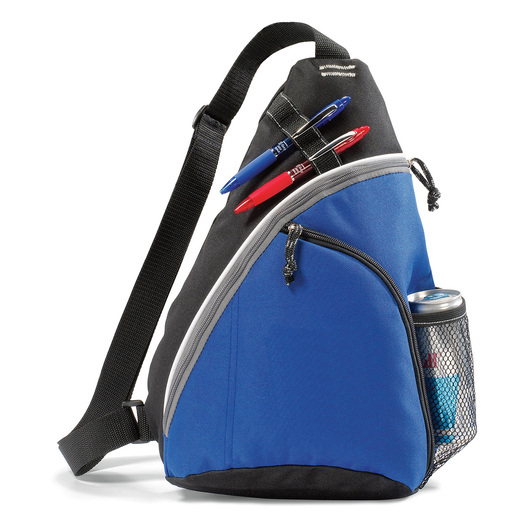 Made from 600D polyester with non-woven back panel giving it a 15 litre carrying capacity. 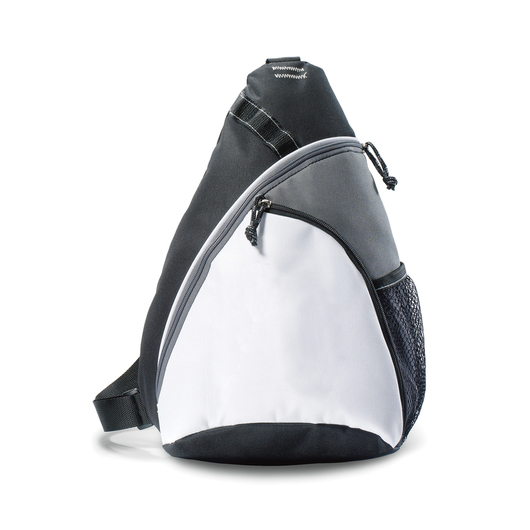 It also features a two zippered compartments, adjustable shoulder strap, back panel is black, pen or carabiner loop, and a elasticated side mesh pocket.